These laundry bags are a little smaller, they are perfect for the 'weekend get away'! My 9" Seam Pressing Template was designed to help make the Cathedral Window Blocks go much quicker for you. You will get nice crisp corners and edges every time. 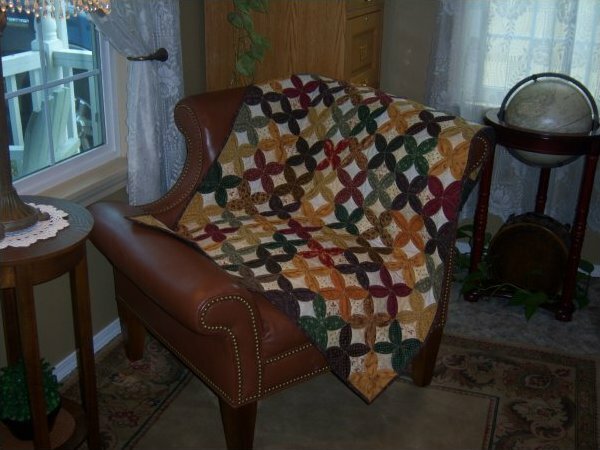 The pattern for the "Scrap Throw Quilt" shown in the photo is also included.